Updated: December 1 — PRWeek named Weber Shandwick a Best Place To Work 2014 - Large Agency, for the second year in a row. 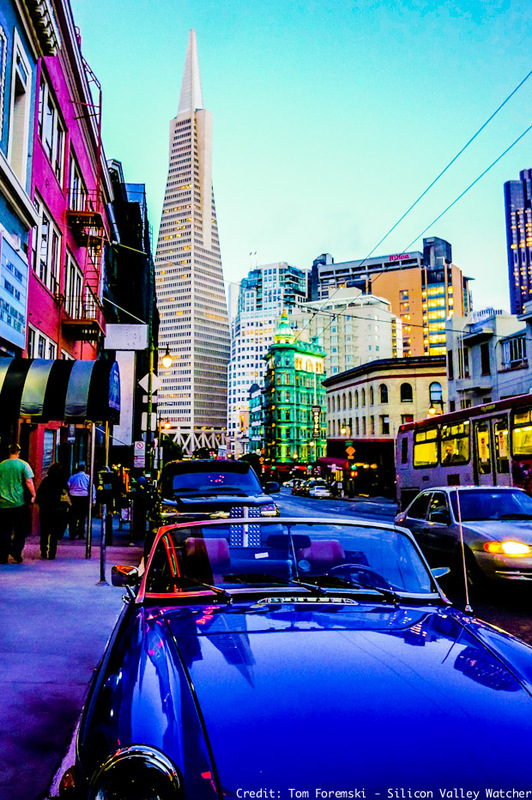 I've been spending a lot of time in San Francisco's North Beach neighborhood, working with teams on Weber Shandwick's Mediaco venture, which is helping companies become media companies. This week Ad Age named Weber Shandwick as one of the best places to work. As an independent observer of only one large Weber Shandwick office, I can attest that everyone is hard driving but super nice with each other and with everyone else. I can also attest that there are no private buses whisking staff to work, there are no celebrity chefs in the office kitchens, and there's no free lunch or Blue Bottle coffee for the staff. Tech company HR managers would be aghast. Free stuff makes you feel entitled. It takes people to make a great workplace. And it has to come from the top, kudos to Weber's management. People to people is the most important interface for every business. Miserable staff can't hide it even when they think they can -- people pick up on tiny clues in voice, eyes or manner. Happy workers are key to ROI. Here is the proof if you don't believe me: watch this short video by one of my favorite CEOs, Shawn Riegsecker at Centro in Chicago. Shawn Riegsecker, CEO and founder of Centro, explains at a 2013 TechWeek event in Chicago, why he focused his company's culture on the happiness of its employees. It's working: Centro has become a giant in the hot ad tech sector. With more than 500 staff and over $300m in revenues - it is Chicago's fastest growing tech company. His staff attrition rate is an unbelievable 4% a year. He has no HR problems. Centro won "Best place to work" in Chicago — no company in any city has won the top accolade twice in a row — Centro has won four years in a row. I've watched this video many times.